Being Good Spirited means being corporately responsible in every aspect of our business. 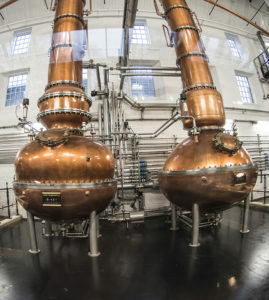 This extends across all our offices and operating sites, from how we source our ingredients and the quality of materials used to make our premium products, to the ways we market our brands only to adults who choose to drink, to our commitment to support and care for our employees and the communities in which we live and work. This ad is an example of a heritage responsibility campaign. 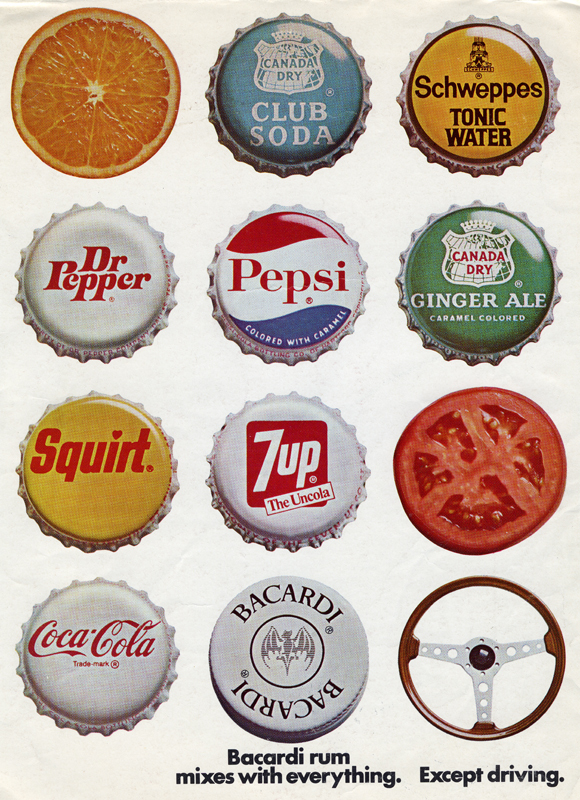 The image contains trademarks not owned by Bacardi. Bacardi recognizes the rights of their respective owners and thanks them. Our founder, Don Facundo Bacardí Massó was Good Spirited when he repurposed old whisky barrels to age his rum. He also took the lead in relief efforts after a devastating earthquake struck Santiago de Cuba in 1852. Over the years, other examples of our company’s Good Spirited efforts include creating awareness against excessive consumption with the wording “Desea vender, pero no quiere el dinero que debe comprar pan” (“Bacardi wants to sell, but it does not want the money you should use to buy bread”) in the early 1930s in Mexico, and developing the advertising campaign “Bacardi mixes with everything. Not driving,” in the 1970’s. The company was built with a sense of being fearless, with a founder’s mentality of running the business, coupled with family and heritage at its core. Moving forward, these values will guide our continued commitment to be a responsible business by empowering our employees to question, challenge, and innovate our business and the way we work. We want them to be Good Spirited and to see the organization as if it was their own, to do what’s right for the business, take accountability for their work, and to treat each other and our communities as family. We recognize the risks associated in our business and the challenges we face moving forward. As a beverage alcohol producer, we know some people can misuse our products in a harmful way. Alone, we cannot solve the problem of harmful use, but we know we must do our part. As an industry and in partnership with others we believe we will be most effective and provide a larger impact. In addition, as a global corporate citizen we acknowledge our role in reducing our environmental impact and supporting the people who source and manufacture our products. We also know we have a responsibility to protect the safety of our people every day. We look to global benchmarks and standards to ensure our Corporate Responsibility (CR) programs are among the best in the industry and that they will have a positive impact in our communities. There are challenges we face in implementing many of our CR programs. We recognize we only have direct control within the four walls of our operations, but we need to work with our entire supply chain to create further positive impact. We also believe we can influence our partners, suppliers, distributors, and others who we work with to find improved solutions to the challenges we face in all CR pillars. 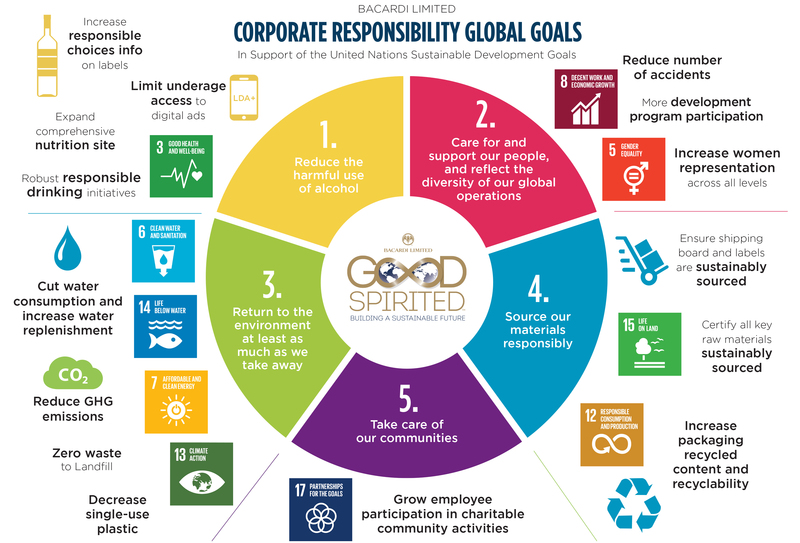 Moving forward, Bacardi is evolving its CR strategy by committing to new, more encompassing Good Spirited goals globally, aligning with relevant United Nations Sustainable Development Goals(UN SDGs) and reinforcing the impact the private sector can make, often through partnerships, on many of the goals. To support 10 of the UN SDGs that we can impact, we have set five new goals with multiple corresponding targets with an end date of 2025.The new Good Spirited global goals build on past successes and look holistically at our product value chain. When setting these goals, we looked to international standards and benchmarks to ensure our targets were ambitious and meaningful. Our aim is to deliver Corporate Responsibility programs that are Good Spirited, make a difference, and are responsive to stakeholder expectations. These new global goals will progress to support future corporate and commercial strategies. By living our cultural values of fearless, with a founder’s mentalityand treating others like familyevery day, we commit ourselves to contributing to a more sustainable future for all our stakeholders. By caring deeply and passionately about our business and the world around us, we excel in creating brands consumers can trust. Through stakeholder research and a materiality assessment, we have identified priority areas which have been grouped under five pillars. 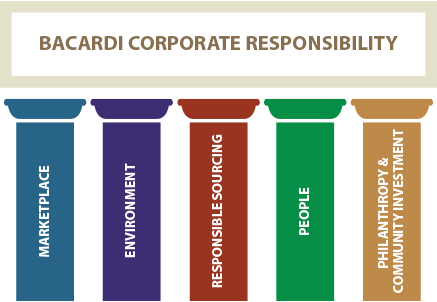 These broad themes are where our business impacts society and where we are focusing our Good Spirited Corporate Responsibility efforts. We are proud of the quality and heritage of our company and our brands, and Corporate Responsibility is an integral component of our business. We invite you to learn more about our work in each of our priority areas and our goals for the future.